Thirty minutes late and full of excuses, I arrived at the abode of fellow author Hilary Mantelpiece. I tried to hide my guilt under a cloak of invisibility but she saw right through it. "You're late... KJ." She was obviously not amused. "I have a very large rucksack and I'm not afraid to use it!" Maybe I should have worn my spectacles when reading the note the owl had brought me earlier that morning - on which were written the instructions for meeting our new writing friend, Agony Christie. Luckily, if Ms Christie was dismayed by our tardiness, when we eventually arrived at our meeting place, she hid it well. "I've booked first class," she said, indicating for us to follow her into the carriage of the train. "What do you think?" "It looks like the sort of place where one might hear a cry emanating from one of the carriage compartments in the dead of night." "You have such a vivid imagination, Ms Rolling Pin," scoffed Ms Mantelpiece. "And don't even think of bringing up the assassination attempt when we went to the Woman's Weekly Fiction Workshop... you know no one believes you." The tea we drank was divine, straight from the orient and it went well with the Dangelberries I had conjured up with a flick of the wand I'd borrowed from a young wizard. We talked of commas and campervans and absent writerly friends and when Agony's husband, David Bayleaf, sometimes known as Agent G, arrived with his camera, we were thrilled. "Make us look beautiful," I cried. "I only do boats," he said. The truth is stranger than fiction.... or is it? If you like your fiction to be well-rounded, you might like to read my friends' accounts here and here for the whole story. 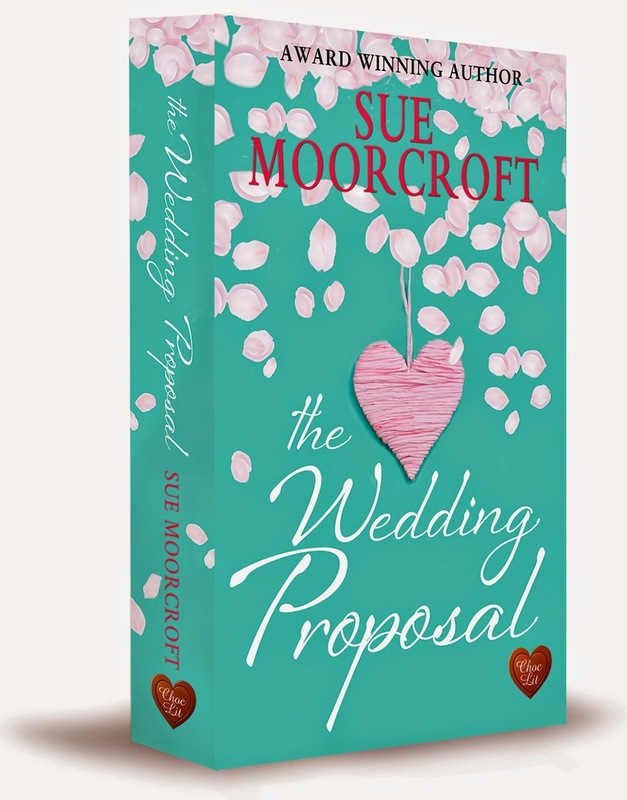 Please give a very warm welcome to my guest this week, Sue Moorcroft. 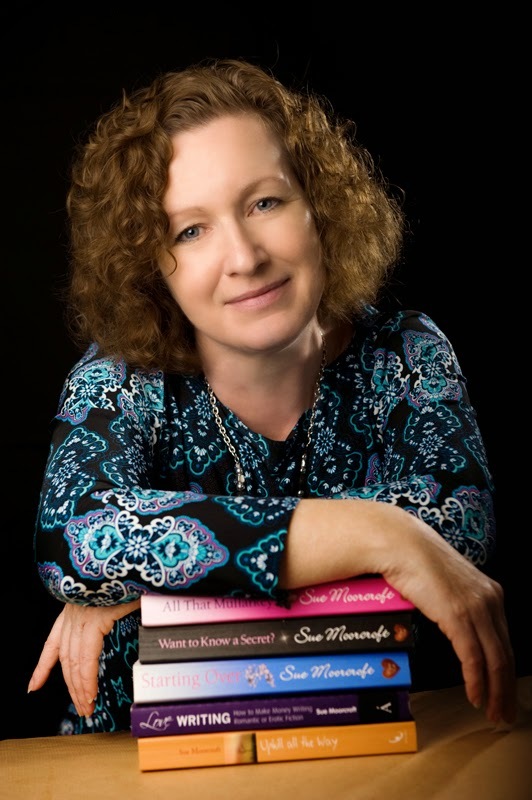 As many of you will already know, Sue wears many hats: Romantic novelist, author of 'how to' books, short story, serial and article writer, competition judge and creative writing tutor... phew! Sue has joined me today to answer some questions about something that has been on her mind a lot recently - weddings! Not surprising really, seeing as her new book is called 'The Wedding Proposal'. So without more ado, here is my interview with Sue. Weddings? Proposals? Let’s get down to the nitty-gritty, Sue - why the obsession with weddings? A wedding is such a life event that it provokes interest. We stop to see a bride and groom, even if we don't know them. We smile and wish them well - or maybe snark 'They'll learn!​'. But we usually react. There's a lot of money spent on weddings; an incredible amount, in some cases. A wedding can be a fairytale or a sensational event but very few couples seem to just wander into a registry office with a couple of witnesses and do the legalities. For the vast majority, it's a landmark and it's treated as such. I like that faith in love and happiness. Do you think the Royal Wedding in 2011 stimulated the market for wedding stories and romance in general? 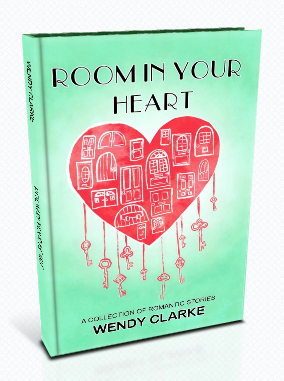 Do you think you have to be a born romantic to be able to write a romance or can you pretend? 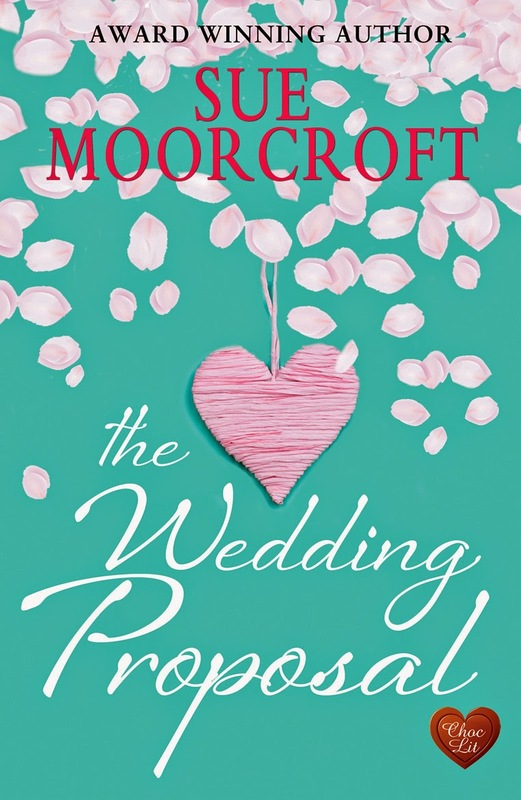 With your new novel having the title, The Wedding Proposal, what would you say to a critic who said that marriage was out-dated? How long did it take to write The Wedding Proposal? I'm always doing other things at the same time as writing a book. I teach creative fiction, judge competitions, write columns, short stories and serials. And then there's all the promo and the business side of my job. In your view, is it important for a romantic read to have a fairytale ending? If you could go back in time and attend any famous wedding, whose would it be? Your novels are all romances. Have you thought of writing in a different genre e.g. crime? I don't think I have the right kind of mind to write crime. I have to have a plotty head, obviously, but crime writers are really good at it. And finally, any advice for an aspiring romantic novelist such as myself? Thanks for having me on your blog. It has been a pleasure. You're very welcome, Sue. Thank you for visiting. Sometimes I want to hide. It all started when I was invited by a lovely fellow writer from the town where I live, to join other writers at her house. It would be a chance to listen to each others work. "Lovely," I hear you say and of course you would be right: evenings like this are lovely... unless you are me! Well to start with, I don't particularly like groups. I love meeting up with two, three or even four people, and will often be the one to instigate such events, but more than that and the pleasure subsides and dread slips in. If I don't know anyone, then that is even worse. I love writing and I love my work being read... in a magazine, in someone else's head, in the privacy of their own home. Reading my own work? That's a different matter. Patsy Collins asked what it is that makes me so nervous at the thought of reading my work out and I found it easy to answer. Firstly, I can't get over the feeling that reading something you've written might be viewed as showing off - which of course is stupid, if you've been asked to do it. The main problem, though, is I'm not a limelight person, which is why I like to sing in an 80 strong choir and only ever dream of singing a solo; or why I love dancing in a sea of other dancers but if the spotlight fell on me... ooh er! Also, I'm quite a perfectionist - if I can't do something to the best of my ability (sing, dance, write) then I'd rather not do it at all. If I read out my work and stutter, stumble and lose my place then, in my eyes, I've failed. So what did I do last night? Well, I could easily have made an excuse and stayed at home but I didn't - I made myself go. Writing buddy Tracy Fells collected me from my house and when the time came, I didn't chicken out but volunteered to read second (better that waiting the whole evening getting more and more nervous). And did I muck it up? Luckily no - after all I've had 20 years experience of reading to a class of children - but I think my tomato red face clashed with the walls! Of course, it was a lovely evening, with an interesting variety of prose and poetry and some wonderful cakes. I could so easily have missed out. I've Made it to 80! 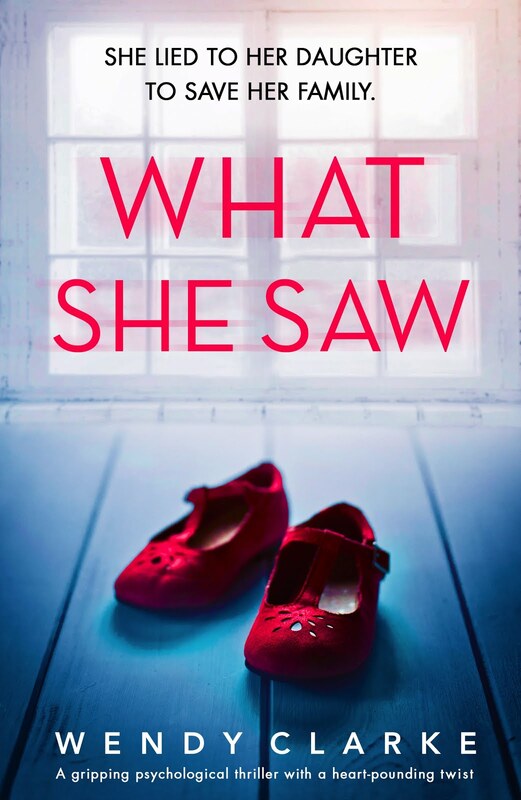 I've just realised it's the two year anniversary of my first story sale and also my blog - Happy Birthday Blog! It's been a busy month and an exciting one. As you can see from my photo, I have made it to 80 sales (the last one sold today, just in time for my blog post). 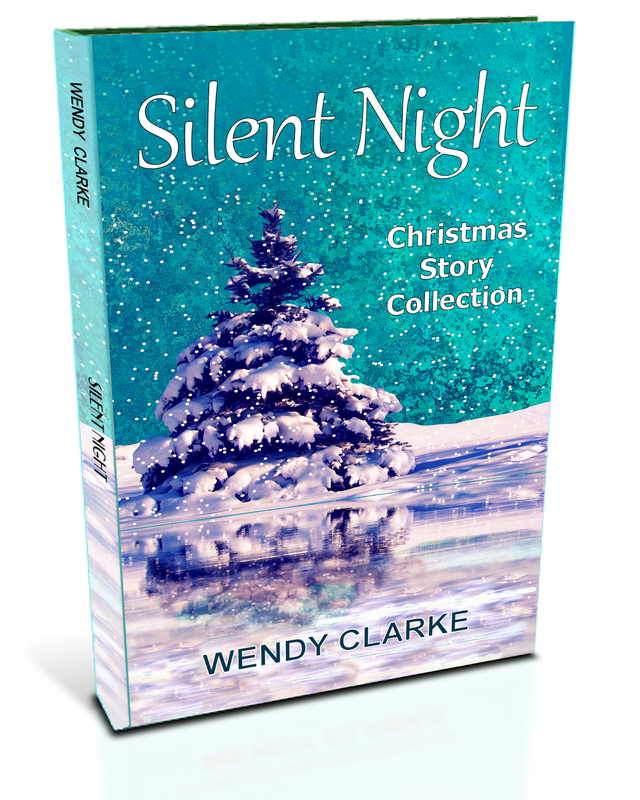 With six sales in July, that has made it one of the best months since I started writing. Also last month, the People's Friend Annual 2015 plopped through my letter box. I've always wanted to have a story chosen for it and I'm pleased to say 'The Buttercup Ring' is one of my favourites. I sold it a long time ago and wondered what had happened to it - and now I know! Another thing that happened is that I have been asked to be the judge for the Chiltern Writers short story competition. I feel very proud that the organisers should feel I am worthy of the job - I look forward to reading the entries in November. 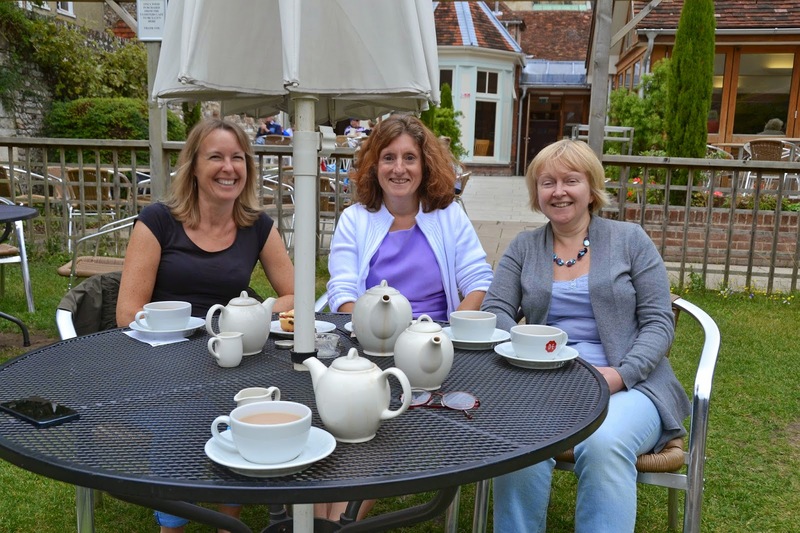 I have also had some lovely guests on my blog, Karen Aldous, Natalie Kleinman and Samantha Tonge. Thank you lovely ladies and another thank you to all my lovely readers for making them all feel so welcome! I have some exciting guests lined up in the next few weeks but I won't spoil the surprise by telling you who. A new thing for last month was taking the plunge and joining the rather scary world of Twitter. 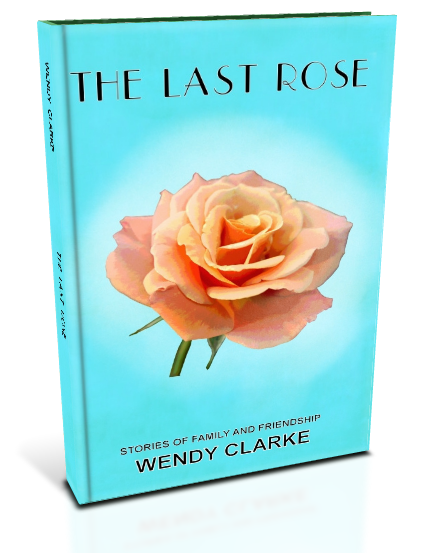 I'd like to say I know what I'm doing but it will probably seem obvious that I don't - so if you follow me (@WendyClarke99) be patient. If I don't do things quite as I should it's because I'm a novice. The friendliness and helpfulness of other writers never ceases to amaze me. Finally, guess what? I started the novel... well, it had to happen sometime!